Boot-type ----------------------- Zeilboten - alle - Zeiljachten - Zeilcatamarans Charter land ----------------------- Zweden Charter gebied ----------------------- Binnenwater - Mälarmeer Oostzee - Oostzee - Scherenkust van Stockholm Haven ----------------------- Kies a.u.b. een land! Sail in beautiful Stockholm Archipelago. Experience thousands of islands, glittering waters, calm evenings and hopefully lots of sunny days. The homeport is just next to "the capital of the archipelago" Vaxholm, so you start directly in the heart of the archipelago. Arrangements can be made if you want to start from another port. 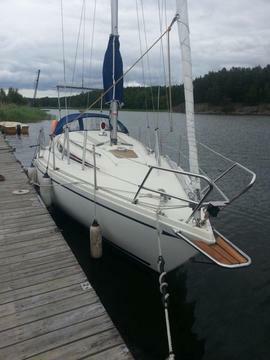 Quality built family sailer from one of the biggest yards in Sweden. Interior volume and safe sailing has been the priorities in this sailing yacht. 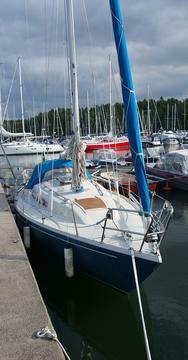 Albin Ballad, with its roots from an halftonne rule, it is a great sailer. 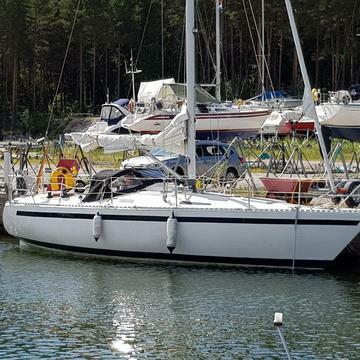 Still easy to handle with its furling genua and Lazy-Jacks on the main. Instead of kayaking in Stockholms Archipelago, fly across the water hanging in the trapeze. Large beach-cat for jumping between the islands in the archipelgo.